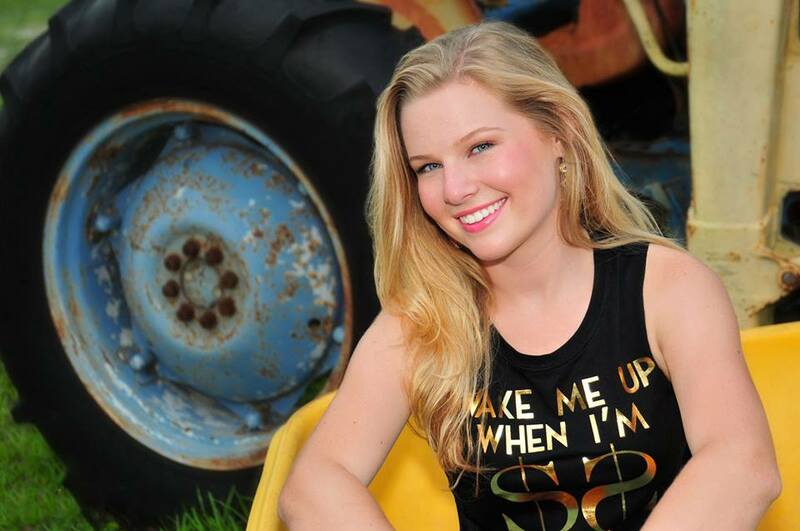 On a sunny November Saturday, 17-year-old Ashley Briggs climbed onto the stage at Plantation’s Liberty Tree Park to entertain an audience with her brand of country music. It was an “Art in the Park” event sponsored by the Junior Woman’s Club, one more gig on her list of professional appearances. Ashley’s style and presence quickly revealed a polished and confident singer with high aspirations and a lot of experience. To a great degree, the teenager from Imperial Point in Fort Lauderdale credits an organization called Tunes for Tots with providing performance opportunities that helped develop her talent. Tunes for Tots is a non-profit group of volunteer musicians and singers who perform to raise money for charities that help children, including the Make-A-Wish Foundation, which is dedicated to making wishes come true for children with a life-threatening illness. Ashley lost count of the number of times she performed with Tunes for Tots but says it’s more than a hundred. Jason Shockey of Fort Lauderdale – a former U.S. Marine and business owner – has been the force behind the Tunes for Tots as it spread across the nation and into several countries. Shockey and the volunteer performers are busy, presenting about 300 events each year. One of them is every Saturday at the Westfield Broward Mall in Plantation where a variety of musicians and singers perform from noon until 2:00 p.m. Donations for the Make-a-Wish Foundation are requested. Tickets are sold for other shows, such as a December 14 performance at the Funky Biscuit in Mizner Park, in Boca Raton. Many of the young performers are both talented and dedicated, as is Ashley Briggs, who has her sights set on a fulltime country music career. She has no doubt where it started. She was only 10-years-old when she was chosen to star in a high school play in the title role of Annie, the musical filled with now-famous songs. “The minute I walked on stage I knew this was what I wanted to do,” Ashley says. And she’s been doing it since. That moment is etched in Ashley’s mother’s memory as well. Janet remembers tearing up at the performance, and since then “we enjoy listening to her as much as others do.” She recalls the day a school music teacher first told her that Ashley, then nine years old, was talented and could sing beautiful a cappella. Since then, “it’s been a family affair “ dedicated to advancing Ashley’s career as a singer and songwriter. Sister Erica designs the web site (www.ashleybriggsmusic.com). Her father Brad learned how to manage the sound systems and necessary equipment. And mother Janet wears many hats that are needed to direct a career in music. To make connections and demonstrate Ashley’s talent, the family has made four trips to Nashville, America’s magnet for country singers and songwriters. To further develop her talent, Ashley took singing lessons from respected vocal instructor and singer Beth Cohen. As a professional, Ashley is currently booked every other Saturday afternoon at the Sands Harbor Resort in Pompano Beach, where she sings at poolside. When Tunes for Tots was founded, it was intended as a community service project. But Shockey says it took on a life of its own. The result is a convergence of interests: entertaining widespread audiences with the joy of music, creating a platform for young performers to develop their talent, and helping children with terrible illness to realize one of their dreams.